Charitable giving in the United States jumped 4.4 percent last year to an estimated $335.17 billion and was led, as usual, by individual donors supporting their favorite charities and institutions. According to new, initial estimates for 2013 released today, that’s 3 percent more when adjusted for inflation from a revised estimate of $320.97 billion for 2012, according to the Giving USA Foundation and its research partner, the Indiana University Lilly Family School of Philanthropy. Preliminary estimates by Giving USA™ are based on econometric models and use historical data from Forms 990 submitted to the Internal Revenue Service (IRS), as well as sources including the Bureau of Economic Analysis, Foundation Center and the National Center for Charitable Statistics. The 2013 preliminary estimates released today, which include some projections and models, will be revised annually two more times, once IRS data are compiled. Giving to religion remained the largest swath of giving but was flat and despite corporate earnings skyrocketing, giving by corporation declined almost 2 percent after a jump of 12 percent in 2012. Total giving has increased 22 percent (12.3 percent adjusted for inflation) since the official end of the recession in 2009. Total giving again was about 2 percent of gross domestic product (GDP). A return to pre-recession levels for overall charitable giving might come sooner than expected while some sectors have returned to pre-recession giving. Projections at this time last year anticipated a return to pre-recession giving could be as many as six or seven years away. The new data, however, show that if giving continues at its current 4.2-percent pace over the last two years, pre-recession levels could be reached as early as 2015. “It could happen within the next year, but it might take two years,” said Patrick Rooney, Ph.D., associate dean for academic affairs and research at Indiana University’s Lilly Family School of Philanthropy. That projection could be volatile though with a big part of it depending on what happens to the stock markets, household incomes and tax policy, he added. “There’s reason to give pause in terms of how long it’s taken us, the depth of the Great Recession and how long it’s taken us to recover,” Rooney said. “If it takes another year or two to get back to where we were before the recession, you’re basically at eight years; not a complete decade but pretty close. It’s not [a lost decade] in the sense that people continue to give but lost in sense of progress,” he said. Environmental/animal, $9.72 billion, up 7.5 percent / 6 percent for inflation. Giving to public-society benefit organization was up 8.5 percent to $23.89 billion, or 7 percent when adjusted for inflation. Giving to individuals was estimated to have risen 1.4 percent, to $3.7 billion. Giving to religion again was the largest by total at $105.53 billion (31 percent of giving) but was flat or down for the fifth consecutive year, declining 0.2 percent, 1.6 percent when adjusted for inflation. International affairs was the only other subsector to fall, down 6.7 percent or 8 percent inflation-adjusted, to $14.93 billion (4 percent of giving). Last year’s initial overall estimates were revised 1.5 percent higher, from an original $316.23 billion to $321 billion. 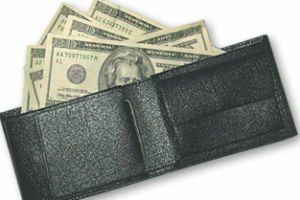 Adjustments showed somewhat higher growth of about 5.4 percent in 2012 giving. Most of the difference was attributed to a change in estimated bequest giving. Originally, estimates showed a 3.5-percent increase in giving, 1.5 percent inflation-adjusted. Among sources of giving, only corporate giving fell last year, down 1.9 percent or 2.2 percent inflation-adjusted, to $17.88 billion. Giving by individuals was up 4.2 percent (2.7 percent inflation adjusted) and again was the largest portion of overall giving, accounting for $240.6 billion, or 72 percent of overall giving. Giving by foundations makes up the second largest portion, at $48.96 billion, or 15 percent, and increased 5.7 percent last year, 4.2 percent when adjusted for inflation. Giving by bequest was up 8.7 percent, 7.2 percent adjusted for inflation, to $27.73 billion. The aggregate rate of growth for education since the recession has been about three times that of the charitable sector, which John Lippincott attributes to several fundamental advantages that the education sector enjoys and does a good job of using. “Education for a long time has made a strong investment in fundraising operations so they’ve got the infrastructure, databases and staff in place, and they’ve been very good at developing high-level professionalism within staff that they hire,” said the president and CEO of the Council for Aid and Support to Education (CASE). Education can appeal to a broad array of donor interests, touching on research or economic development as well as education, while most other subsectors are very specific. “We saw this within CASE membership, education was very persistent during the recession, in terms of maintaining relationship with donors, even during a period of time when those donors were not in a position to make a gift, or the same gift as in past,” Lippincott said. The clearest message in the numbers for Lippincott is perseverance. “The fact that institutions that kept the faith during the recession are now seeing the rewards for that, that for me is the real takeaway and a real important message,” he said. Organizations might experiment with fundraising, try it for a couple years, stop, get mixed results or be disappointed. “You have to be in the long haul, and be persistent, to see the big payoff. That’s the key message behind 8 and 9 percent growth,” he said. Irv Katz, president of the National Human Services Assembly in Washington, D.C., is disappointed in the small increase among human services nonprofits. A former advisor to Giving USA, Katz said some of the “borders between these categories are a little more permeable,” and some of his members might be included health, public-society benefit or religion. There is a strong correlation between giving in general and attendance at houses of worship. “People who actively practice faith are more generous toward human services and the charitable type of service. It could speak to why neither human service and religion are growing that rapidly,” he said. If the pace continues, the arts, culture and humanities subsector could be the next area that reaches pre-recession levels, said L. Gregg Carlson, chair of the Giving USA Foundation and president of Henderson, Nev.-based Carlson Fund Raising. In the midst of the recession, there was some reprioritizing of charitable giving to human services organizations that met basic needs. “The opera didn’t need their gift that year, the soup kitchen did,” Carlson said, which would explain the big jumps for human services charities in 2009 and 2010 while arts groups took a hit. It wasn’t all good news coming out of the newest estimates. Some observers had their concerns. For Lippincott, the challenge is the “increasing economic stratification” among donors that’s mirrored in general society. For example, alumni giving continues to increase but alumni participation has dropped, meaning the same number or fewer alumni are giving more money. Likewise, charities in general are raising money from a shrinking donor universe. The vast student debt also plays into the scenario. Students graduating with significant debt are going to inevitably be less inclined to make even modest contributions, Lippincott said. “If that habit or tradition of giving is not established early, it’s hard to recapture it later,” he said. And while there may be more confidence in the economy, and signs that it’s growing, there are still large numbers of people struggling. “People don’t perceive the human crisis as critical as they had at the height of the Great Recession,” said Katz.